Why Your Business Needs QuickBooks Add-Ons? As we work to grow our firm further, it sometimes happens that we have used all the features QuickBooks software has to offer, but few things still remain unaccomplished which cannot be done by the application alone. This can be annoying and frustrating if you are on a busy schedule and lots of data must be entered into the system. 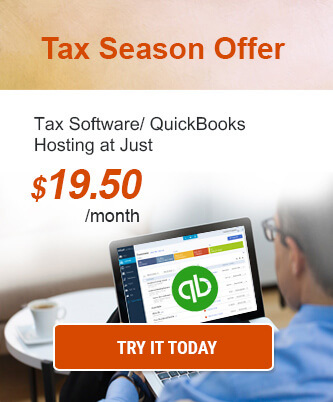 QuickBooks Desktop hosting offers functionalities to make accounting easier. But, as with most applications, it doesn’t have everything a user may need. However, there are many things a user can do with the help of QuickBooks add-ons (which can be from a third-party provider or Intuit itself). 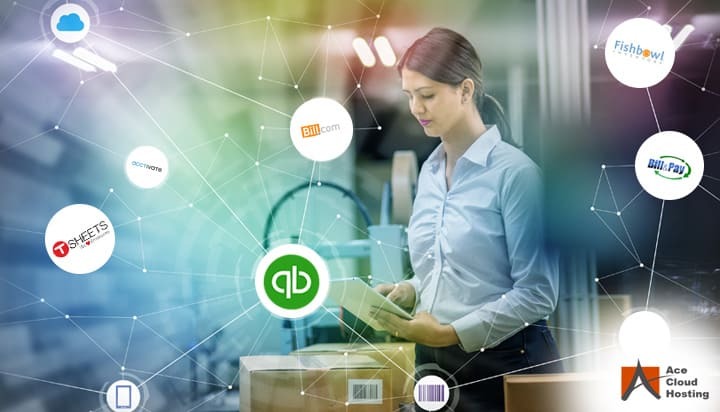 These QuickBooks add-ons can help SMBs with almost everything from managing cash flow to automating aspects of inventory management, lowering costs, and saving time. Nowadays clients prefer to have payment plans instead of paying the whole amount in one go. QuickBooks add-ons allow you to automate this feature by offering customized and flexible payment plans for clients. It also lets you regulate terms, fees, and frequency. Once you include a payment plan on your QuickBooks, it automatically updates the invoice balance in QuickBooks. With QuickBooks add-ons, expense management becomes a lot faster and simpler. Instead of processing and collecting paper receipts, you now have the option to work on digital records. Users can simply take a picture of the receipts, from which the app would create the required digital data and take it forward for approval. Purchase made by credit cards can also be automatically synchronized. All the expense data would get updated to the pre-set accounts instantaneously in QuickBooks. The spent amount gets credited to the users’ bank account one day after the statement is cleared. QuickBooks add-ons allow automated accounting client on-boarding, workflow deployment, and recurring invoices. There are various add-ons available which would streamline the process of producing an engaging and well-written content to help you secure new clients, thus saving your time. When integrated with QuickBooks, these add-ons make it easy to send invoices and collect the amount upfront as these add-ons provide a business insights dashboard where it analyses the data drawn from your QuickBooks and present the results in easy-to-understand graphs and charts. So, you can see exactly where your firm is standing and how it stacks up against your competitors. Another benefit offered by QuickBooks add-ons is that they let you manage client scheduling, invoicing and payments in one place. Clients can check the real-time availability, book appointments quickly with no need to contact you, re-schedule with a single click and make online payments. You will get automatic reminders, approvals and follow-up messages. You can easily sync all this information with your QuickBooks account. Although QuickBooks may put a lot of business-related data and information at your fingertips from a browser, inventory features aren’t its forte. There are many QuickBooks add-ons which can integrate with the software to help firms with inventory management, manufacturing support tools, sales order processing, all of which are easily accessible from a laptop and smartphone browser. Some advanced features such as the ability to track items by serial number, support for inventory in different geographical locations and cost history for particular items are also available with these QuickBooks add-ons. With QuickBooks add-ons, you can keep your company’s finances in order. Instead of being caught in the endless game of keeping on top of your finances, you can stay ahead by filling up your budgets with bills and invoices pulled from the QuickBooks software. Various add-ons are available which can integrate with the software seamlessly to keep your finances on track. This integration eliminates the need for manual tasks such as data entry, resulting in increased accuracy, reduced time consumption, and an always updated forecast for the users. These add-ons are easy to set-up and understand. QuickBooks add-ons can help your firm go paperless by performing a simple task of storing files and documents, which can be easily attached with QuickBooks entry. All you need to do is scan and attach the document to the invoices, record, bill, and other entries and files. As all your documents are stored in one place, it makes your accounting audit-ready and easy for auditors (both internal and external) to examine the records of the firm. QuickBooks-addons can facilitate employee management and make time tracking of employees handy. From creating and delegating work schedules to track time of employees, these add-ons (which are GPS-enabled) make it a breeze for clocking time, regardless of the employee location. QuickBooks add-ons have the ability to track time even in the offline mode and give you updates when network connectivity is available. Once the timesheet data is approved, it is then passed to QuickBooks which is further made available for processing payroll. If you are looking to turn Facebook into a sales channel, QuickBooks add-on is the best option available. With just a few clicks, these add-ons can work with the software to set up a storefront on your Facebook business page. OneWay Commerce is one such app. With the free version of the app, you can support up to nine products. Which QuickBooks add-ons are you using? Which ones would you recommend? Do write to us in the comments section. 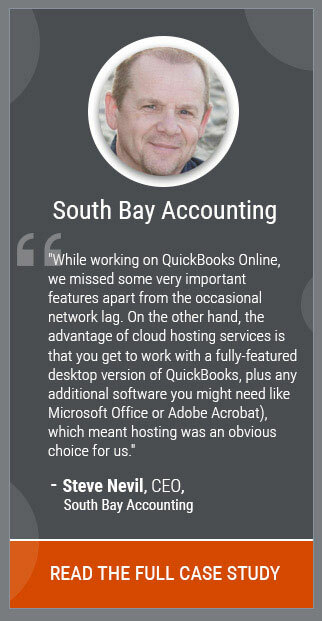 I was searching for what all benefits can add-ons provide if I am already using a hosted version of QuickBooks. This cleared my doubts. Add-ons are must in today’s time as the software alone cannot provide all the features that a user need. The add-ons available at the Intuit marketplace were of great help to me.